When I think of Danish pastries, I of a puff pastry with some sort of fruit centre. 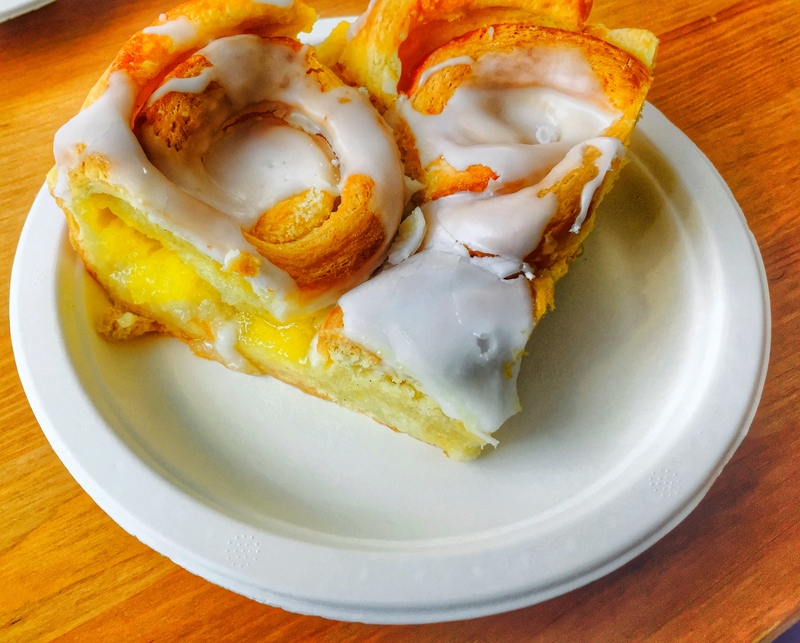 It wasn’t until I visited The Solvang Bakery in Solvang, California, a Danish pastry shop, that I realised there really is so much variety in Danish pastries! 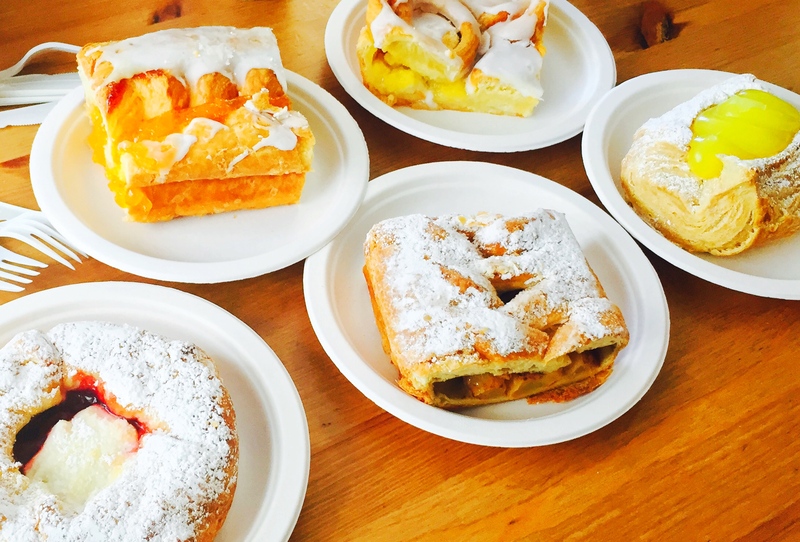 The Solvang Bakery is reputed to be the best Danish bakery in the town of prides itself on its Danish heritage. 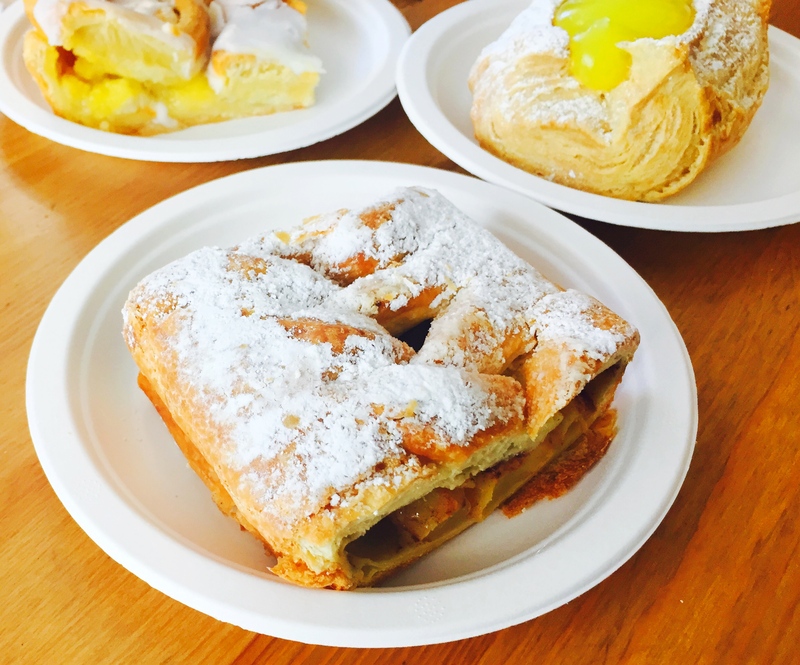 Established by Danish immigrants in the early 20th century, Solvang takes everything Danish very seriously. The Solvang Bakery has the pretzel sign in front of its store which is called a kringle. The kringle sign is centuries-old symbol signifying membership in the Danish bakers’ guilds. The bakeries in Denmark are allowed to have a crown over their kringles. The interior is shabby chic with little tables if you are staying to eat in the store. There’s lots of merchandise for you to purchase on display. It’s all cutesy and geared towards an easy souvenir for tourists to take away. I was flabbergasted by the dizzying array of pastry options. In my experience, my choices of Danish pastries usually involved deciding between apricot and berry. Who knew they came in different sizes, shapes and fillings?! We didn’t know what to choose so we chose a variety of different pastries. When in doubt, overeat. There’s a charming sheltered patio area in the back where you can sit and enjoy your pastry. It leads directly out to the parking lot as well so you won’t have to waddle to far post-pastry. The story goes that the Danish pastry was invented because of a Danish bakers’ strike in 1850. The Danish were resourceful though in the face of industrial action and simply imported Viennese bakers from Austria. 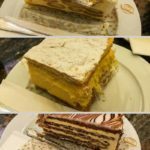 Austrians, as I have mentioned before in this blog, have a tradition of baking wonderful cakes and sweet treats. The Austrians (and the French) had learned the art of baking dough in folds from the Ottoman Empire. 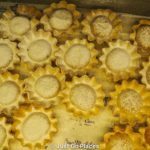 This form of pastry is not only delicious but has a long cultural history! When the striking Danish bakers got back to work, they merged some of their techniques with that of the Viennese bakers. The Danish pastry as we know it was born! In Danish, the generic name for this type of pastry is called wienerbrød or “Viennese bread” in reference to its historical origins. 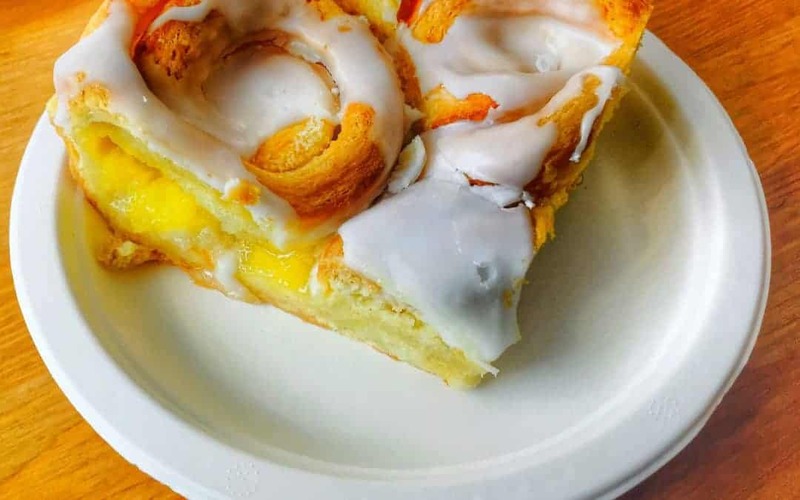 In the US, Danish immigrants brought the Danish pastry to their new homeland. In the early twentieth century, a Danish immigrant baker called Klitting made a Danish pastry for President Wilson. 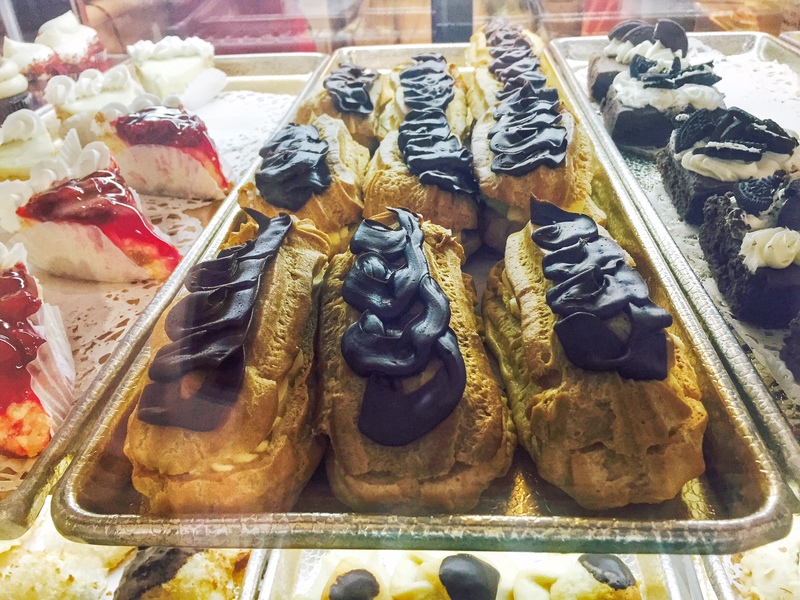 Eventually Klitting’s pastry caught the attention of a New York restaurateur who started selling them in his restaurants. The danishes were an immediate success. 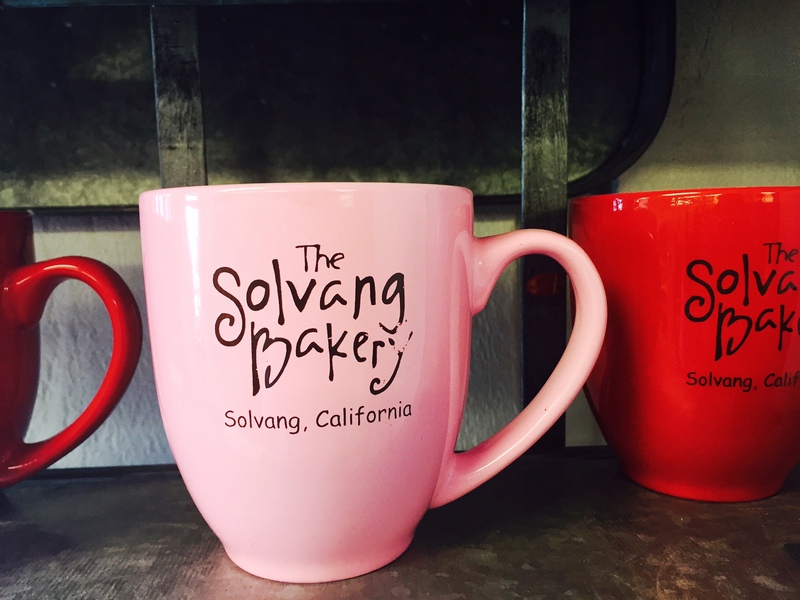 The Solvang Bakery is located at 438 Alisal Road in Solvang California. It is pretty much at the end of the main shopping strip (Copenhagen Drive) of the town. There is ample parking behind the Bakery. Also, if you park here, you can combine a trip to the Solvang Bakery with a visit to the Santa Ines Mission which is on the other side of the parking lot. 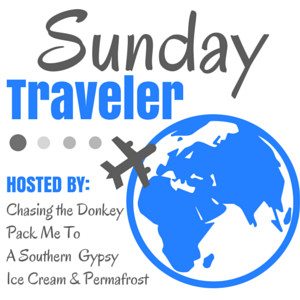 This post is part of The Weekly Postcard at Travel Notes and Beyond, Weekend Wanderlust at A Brit and a Southerner and Sunday Traveler at Chasing the Donkey. 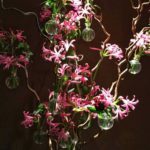 Do check out their blogs for some fun weekend travel reading! 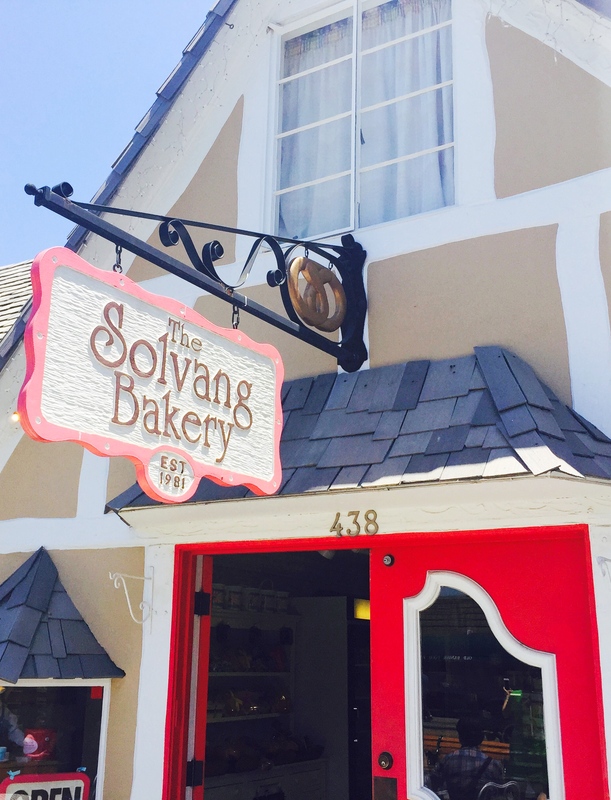 I have been to Solvang several times (we go about three times a year) but haven’t visited this bakery yet. Thanks for the recommendation. 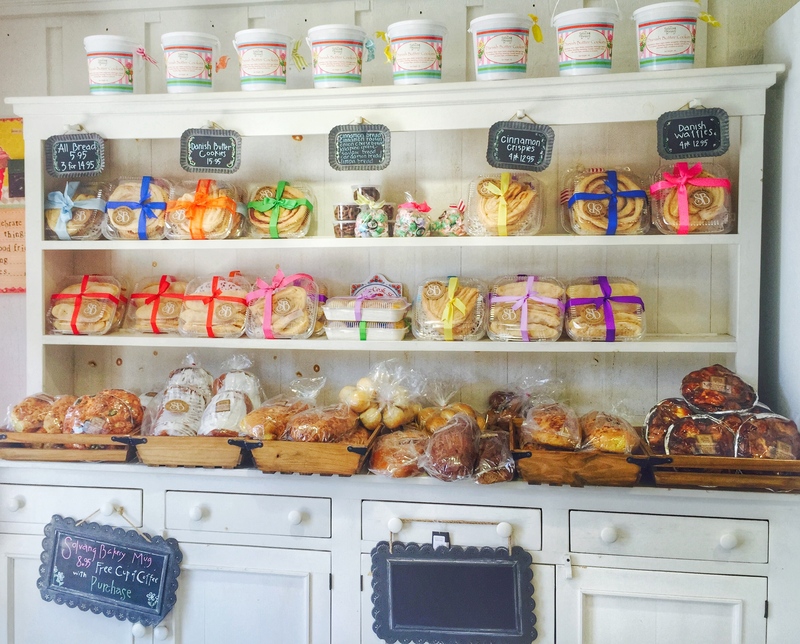 There are lots of bakeries in Solvang! This was the one recommended by The Bacara our hotel in Santa Barbara. What a gorgeous bakery, I’d love to go there! Those pastries look absolutely scrumptious! I would love to devour one of those éclairs but sadly, wheat doesn’t like my belly. I’m sure I could find a delicious cup of coffee, though. I can’t remember if they do gluten-free. But yes the coffee was great. I just finished dinner, but my mouth is watering looking at your pastry photos. How do you ever decide which to buy? We let the lady at the counter pick some of the favourites! Yes they are so good!! Never fails to amaze me the delicious level of influence Austria has had in the world of pastries! Your sharing about Vienna’s collaboration with the Danes reminds me of those “French” croissants and other viennoiserie I so enjoy as well as the strudel of Northern Italy. And that cream puff, fifth photo down . . . a miniature Paris-Brest . 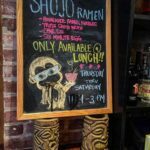 . . yum! Yes Austria has had a diverse range of influence from music to baked goods! I haven’t been to Solvang since I was a little kid. 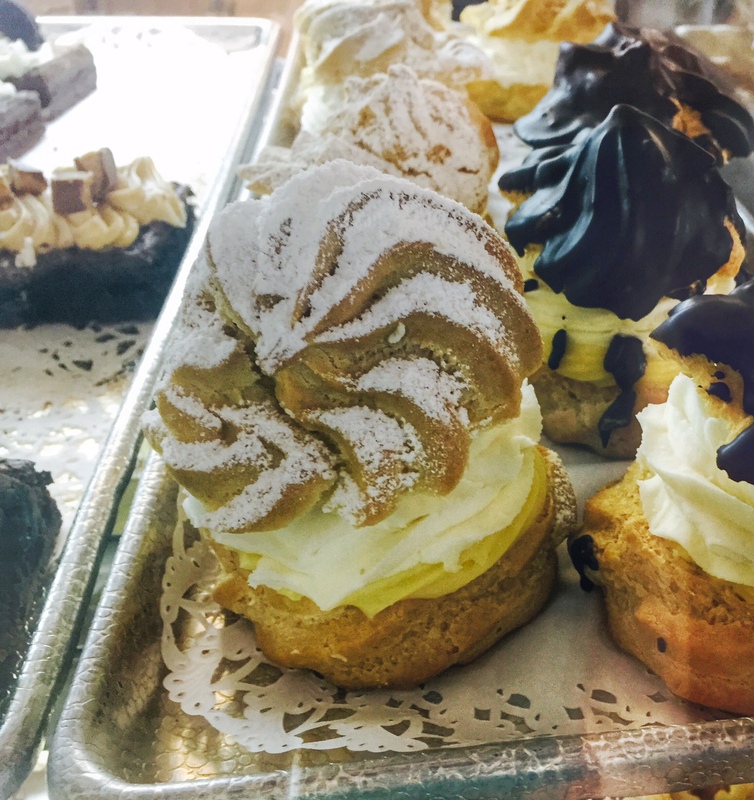 Those pastries look so delicious and may be just the thing to convince me to make the drive there the next time I’m in Santa Barbara. I do love a good pastry selection, and this place seems to have just that. I agree can’t go wrong with a good pastry! Great now I’m drooling again, those pastries look to die for! I have no idea how I’d choose if I were there. 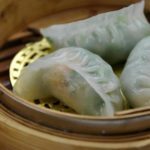 Thanks for linking up with #TheWeeklyPostcard and sharing this mouth watering post.